Check out this lovely printable action plan. It comes in two different designs. One with green and blue colors, the other one with purple and red colors. 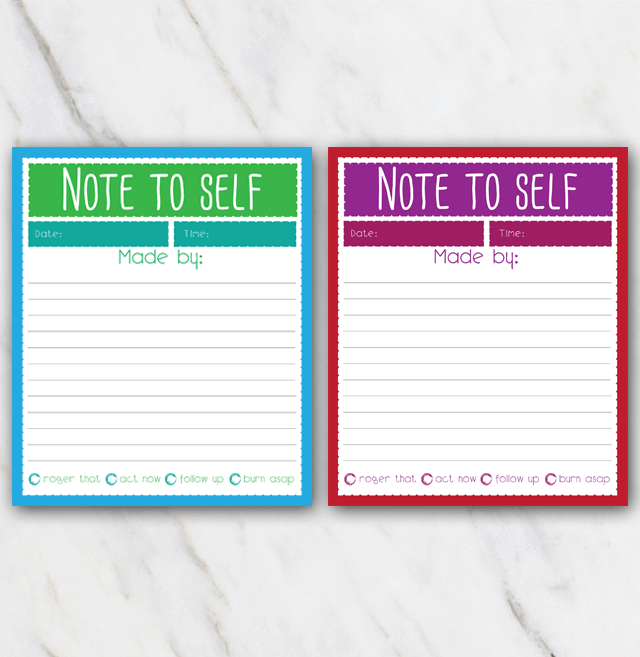 Make sure you never forget a note to yourself again with this printable action plan. And if it's not really your style, nothing to worry about! Just check out the other printable action plans right heree.